Come join us for a wonderful winter adventure in some of Colorado’s finest terrain! 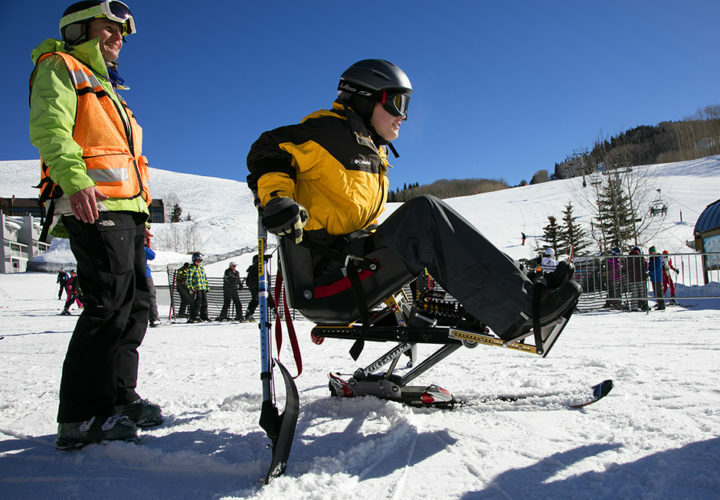 The Adaptive Sports Center (ASC) in Crested Butte, Colorado has helped put together an amazing Craig Adventure trip. Ski or snowboard with top notch instructors during a full week, all-inclusive deal. Cost includes: 6 nights of lodging, food, transportation to and from ASC programming, equipment and instruction through ASC. 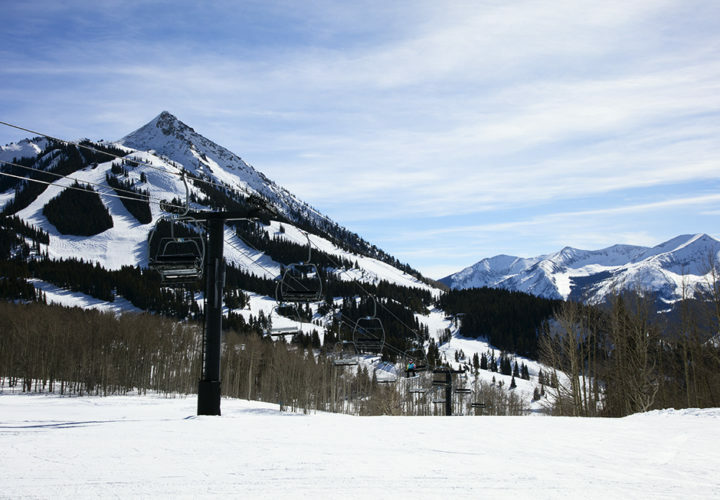 Transportation to and from Crested Butte is not included. If you are in need of financial assistance, please inquire about our Adventure Scholarship. 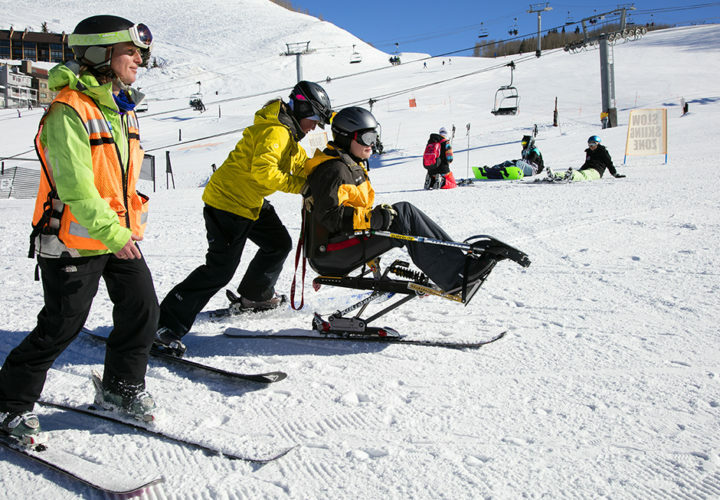 The Adaptive Sports Center in Crested Butte offers a ski workshop for Craig Hospital’s Adventure Program. Craig Hospital alumni are invited on an all-inclusive trip to discover or rediscover the sensation of skiing. 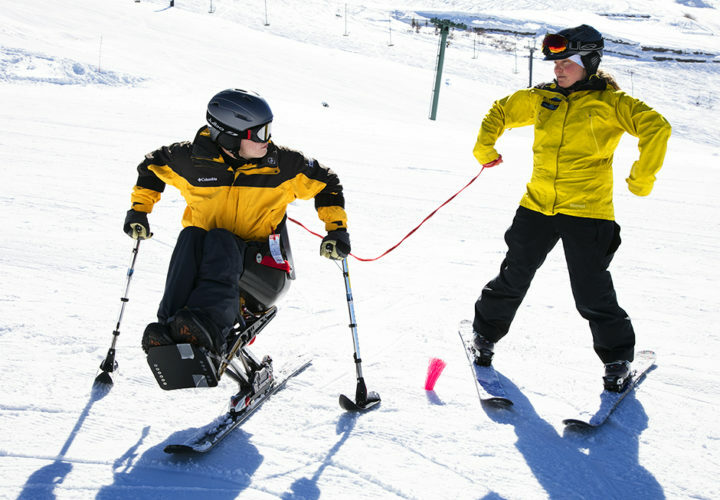 “The adaptive sports center is an outdoor adventure program based on getting people with disabilities and other special needs outside,” says Chris Read, Program Director of the Adaptive Sports Center in Crested Butte. The objective of the ASC is to share their knowledge and love of outdoor recreation through lessons for people with disabilities. There are no boundaries on who is able to participate, which includes friends and family as well. But the X-Factor of this amazing program is the staff. A skilled team of professionally certified instructors in the therapeutic recreation field who on average have over seven years in the industry. 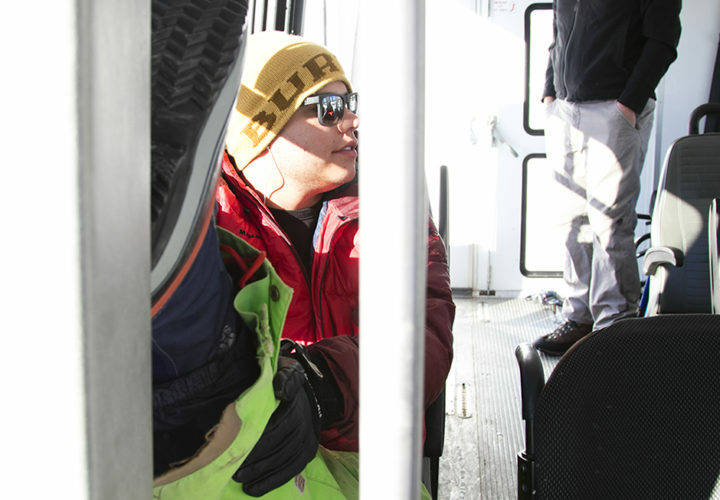 “Their people that are good at what they do and they are passionate about it,” says Chris Luna, former Craig patient and Adventure Program participant. Colleen Farrell, instructor to Craig alum Trevor Kennison, is one of many instructors who validate excellence of the ASC staff. “I think one of the coolest things is being able to give somebody back their freedom,” says Colleen. 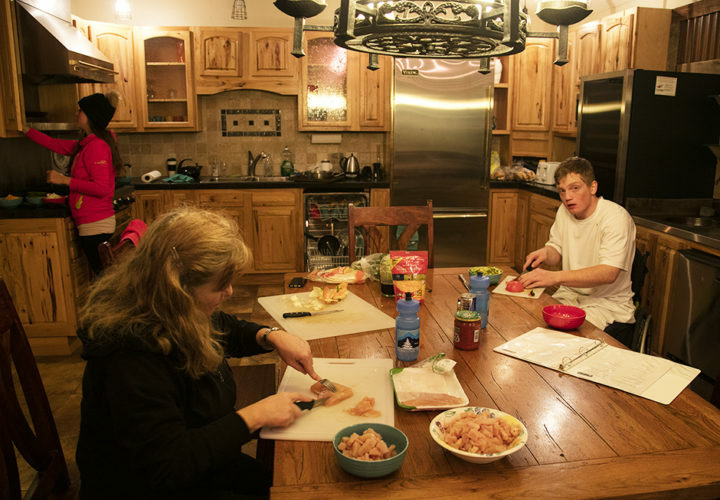 Her initial involvement with working with people with disabilities came during an internship in North Lake Tahoe where she was introduced and fell in love with teaching people to ski with disabilities. Colleen is now in her 16th year with the ASC program. 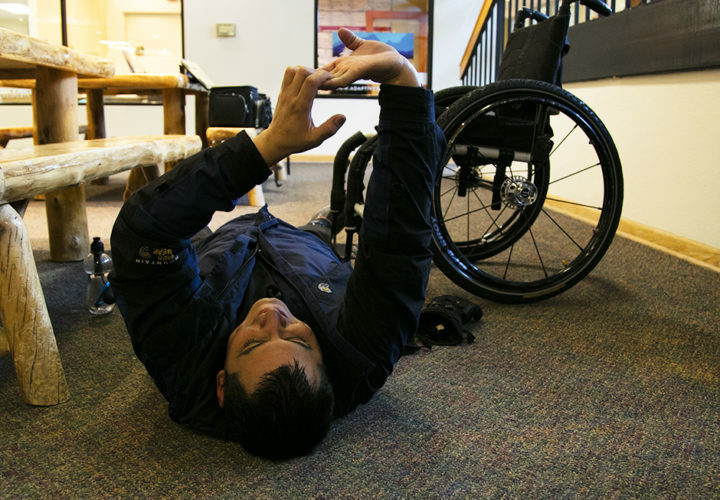 Trevor Kennison stretches before heading to the mountain for a day of mono-skiing in Crested Butte, CO. Trevor is a Craig Alum attending the Ski and Snowboard Adventure trip with Craig Hospital. 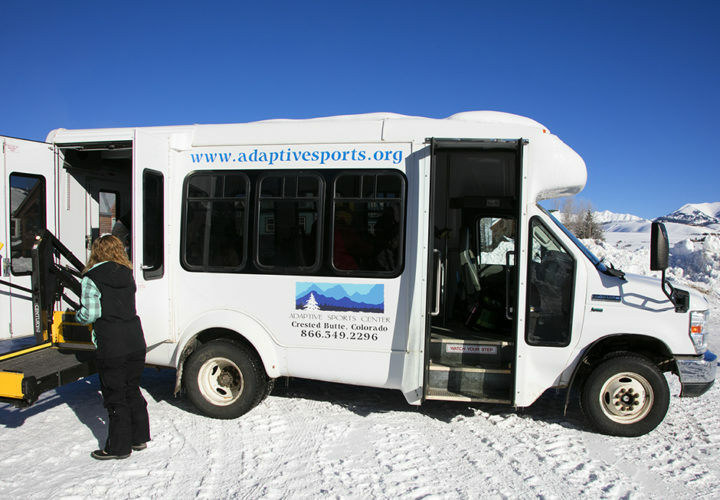 Adaptive Sports Center van comes to pick up Craig Adventure Program group for a day of skiing. Trevor stretches on the ASC (Adaptive Sports Center) van while waiting for other Craig Adventure program participants to get on the bus. 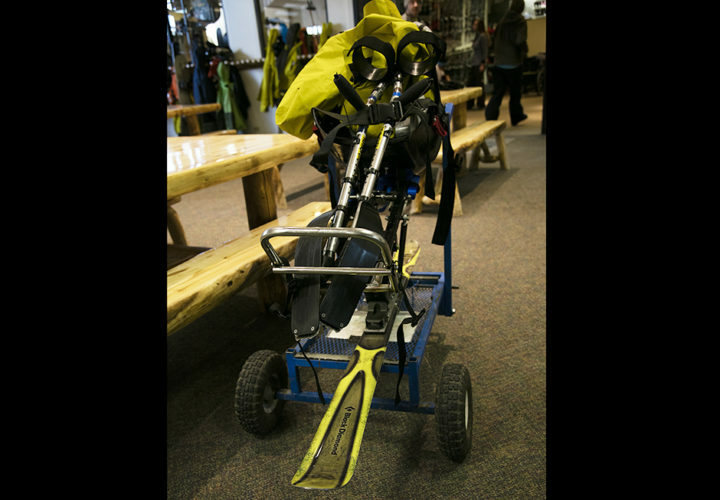 Mono-ski at Adaptive Sports Center Crested Butte, CO.
Jeremy, Craig Hospital Adventure participant, gets fitted for his mono-ski at Adaptive Sports Center in Crested Butte, CO. ASC staff make sure to take any extra time needed to fit you properly with your equipment. 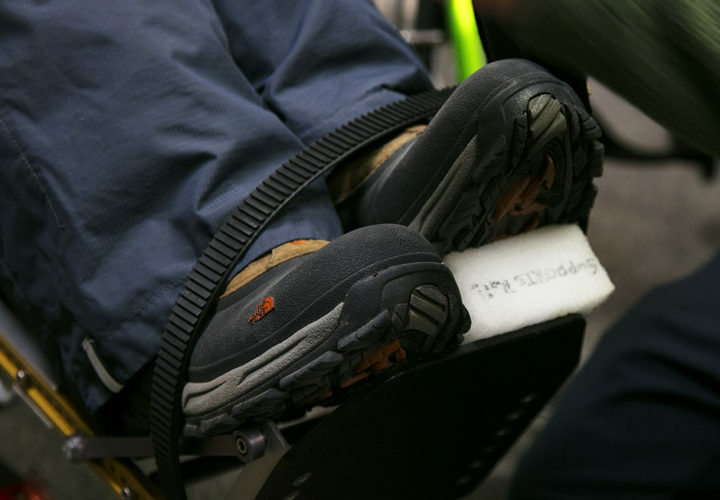 Efficiency on the mountain starts with the proper gear and right fit. Detail of how the fitting process is carefully planned and thought out. Make sure to communicate with the ASC staff on any special needs you might have. ASC staff balancing Jeremy with his mono-ski. 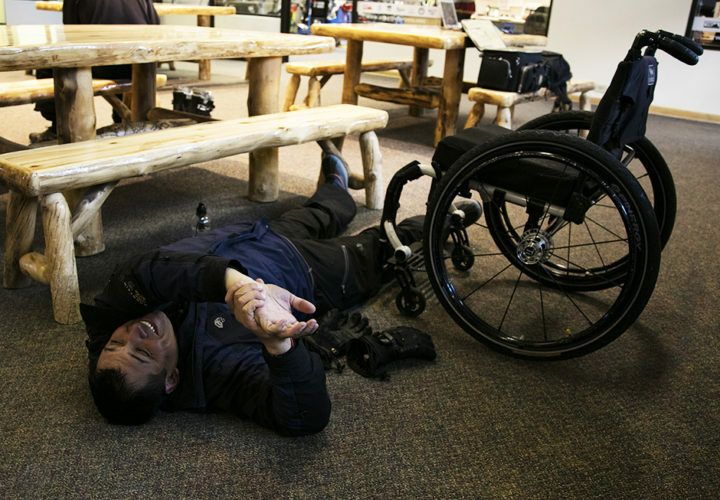 Chris Luna, Craig Hospital Adventure participant, stretches after a day of mono-skiing with Adaptive Sports Center in Crested Butte, CO.
Getting ready to hit the slopes with Adaptive Sports Center in Crested Butte, CO.
Adaptive Sports Center CTRS (Certified Therapeutic Recreation Specialist) helps assist getting up a hill. 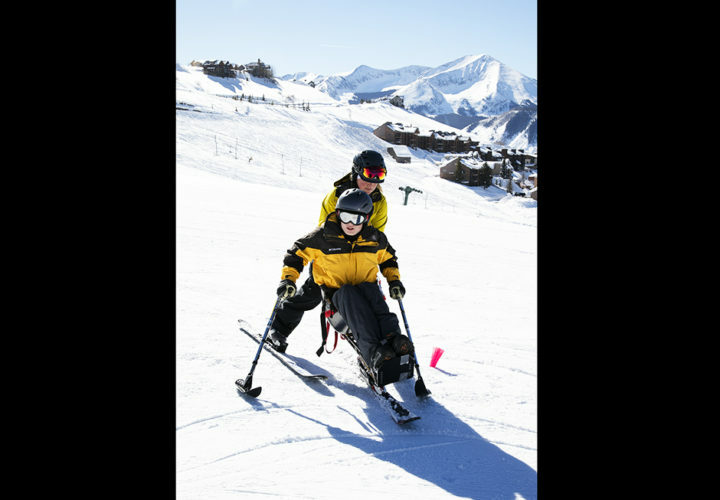 Adaptive Sports Center CTRS (Certified Therapeutic Recreation Specialist) works on mono-ski skills with Jeremy. 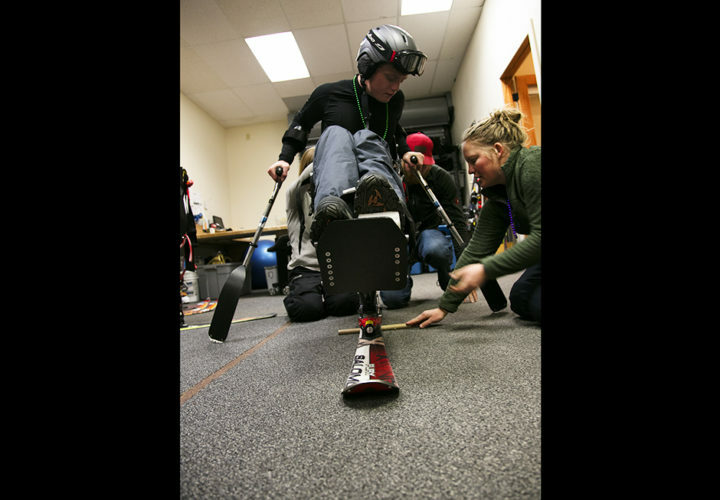 Adaptive Sports Center CTRS (Certified Therapeutic Recreation Specialist) continues to work on mono-ski skills. There is always something to learn and the ASC staff have the best tips and tricks for a successful day of skiing. Crested Butte Mtn in Crested Butte, CO. Preparing dinner with the other Adventure Program participants back at the cabin after a long day of hard work on the mountain. 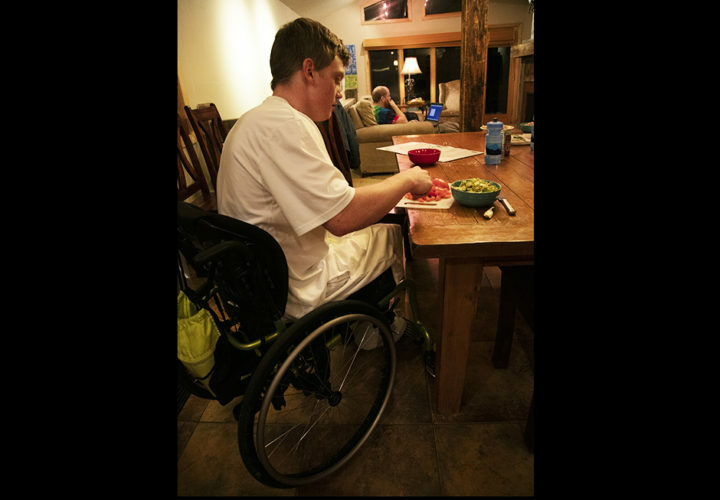 Chris Luna taking advantage of the down time after skiing with Adaptive Sports Center in Crested Butte, CO. Preparing dinner with the other Adventure Program participants back at the cabin. 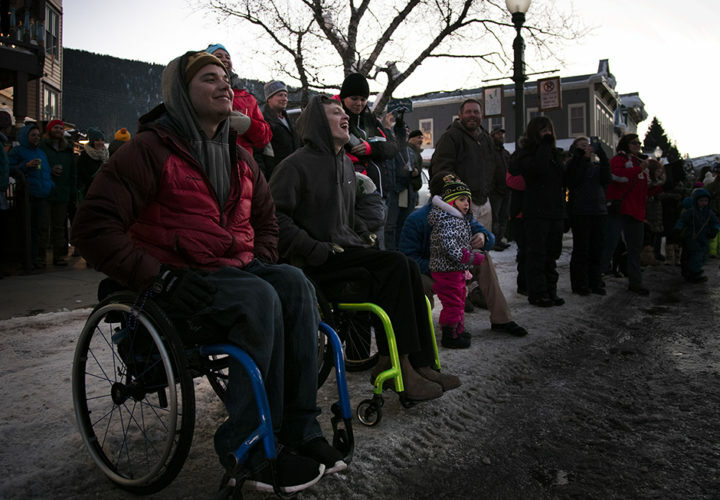 Two Craig Adventure Program participants go to downtown Crested Butte to watch the local activities and enjoy what Crested Butte has to offer.